Use the built-in calendar to schedule events. Parents can view this calendar anytime from their child's profile. There is no need to have a separate calendar because brightwheel has one built in. Teachers can add all the important events to a calendar. Parents will see this calendar on their mobile app. The calendar is organized by rooms. 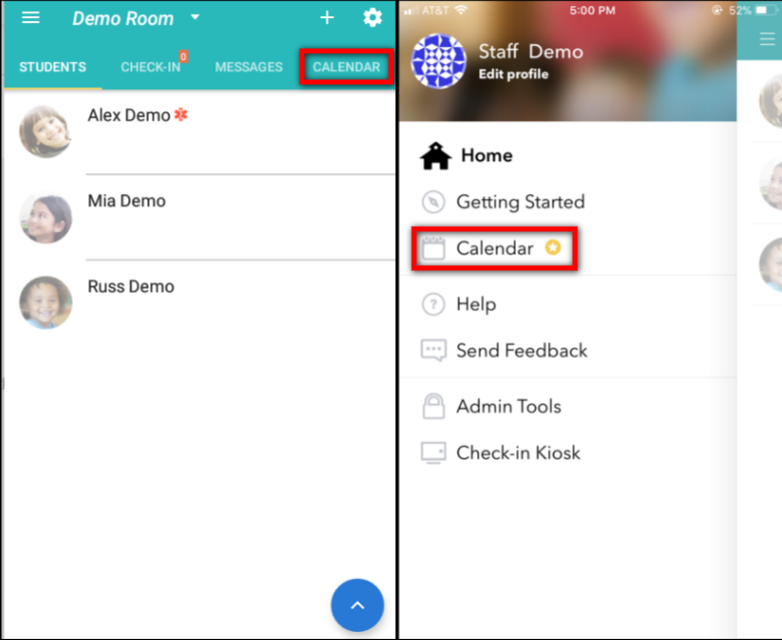 As a teacher you can view your classroom's calendar from the app by tapping on the Calendar tab from the main page if you are using an Andoird, or tap the three lines and choose Calendar if you are on iOS. Please note, each calendar is specific to the room. To view your child's calendar, tap on their profile from the app and tap on the calendar icon. From here you can see all events. How do I add Lesson Plans and/or Menus to our calendar? Right now, we recommend that you create a google doc for this info and then link to it for parents to view from a calendar event. How do I schedule staff and/or students? We recommend naming Rooms for days of the week and assigned staff and students to each of the relevant rooms. Note At this time, the calendar does not sync with other calendars or have auto alerts. 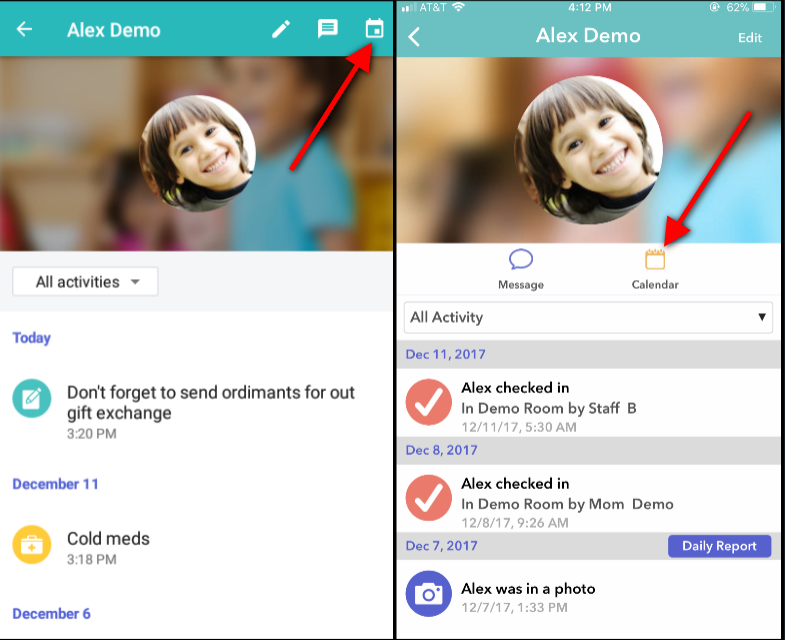 You can send a note or a Message to remind your parents about an event on the calendar.